It’s snowing outside and has been most of the afternoon. Which is ironic because this morning when I woke up to take Brady outside I could have sworn it was a spring day. So clear, so warm, so fresh outside. And now, as the snow plow just drove by it definitely feels like January. Which made for a cozy night inside watching movies. For us, it was Meet The Parents and then Meet The Fockers. Both bring us the Circle of Trust. 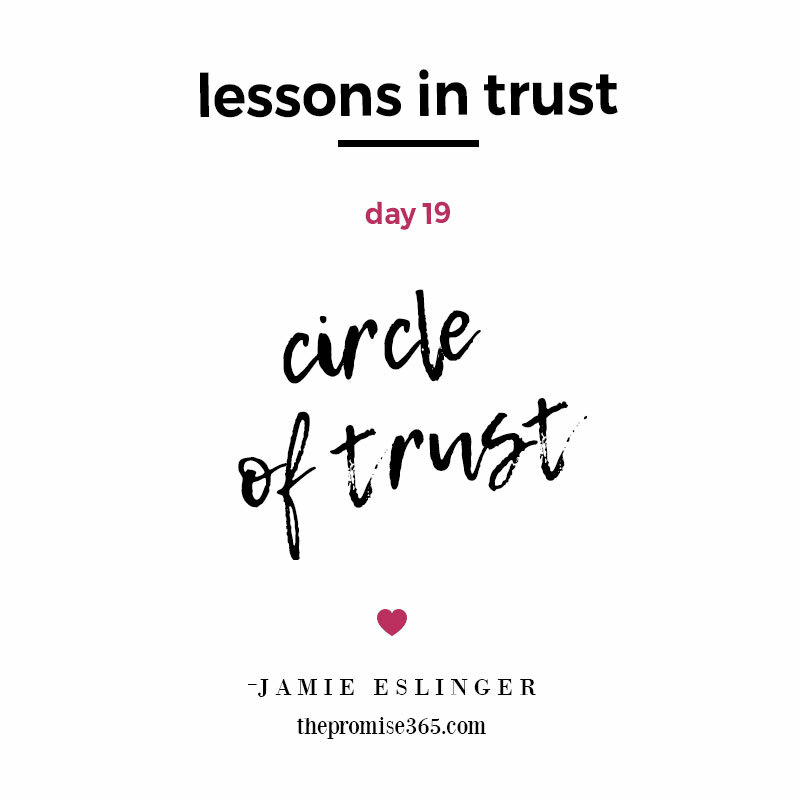 It’s funny, I haven’t thought of the circle of trust yet, in this year of Trust. But it makes sense. Having a small circle of people to count on, to believe in, to conference with and to trust. Without all the truth serum of course. Here’s to those we trust, and love, and believe in… through rain or snow.